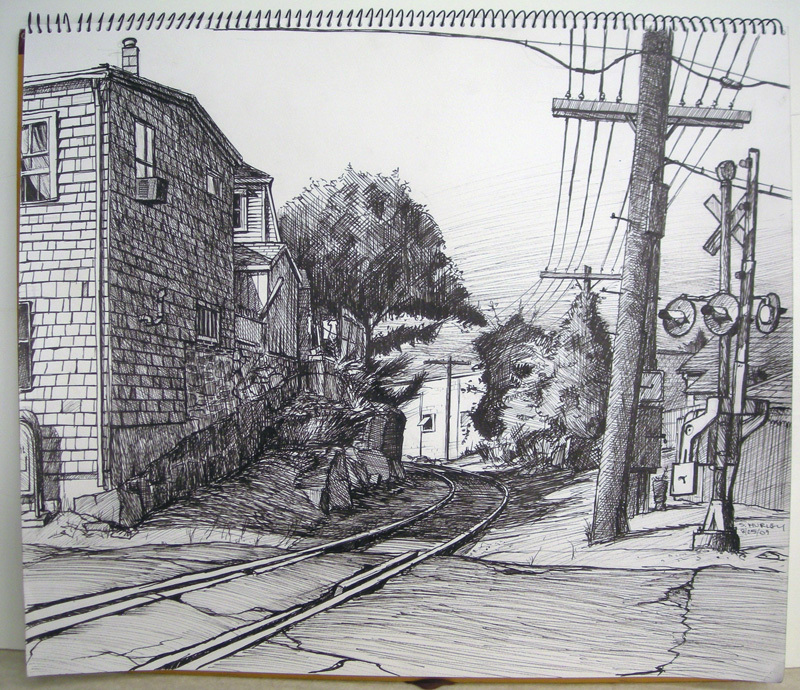 Railroad Crossing (Cedar St. Gloucester, MA) - Pen on paper- 2009 - 15.5 " x 18 "
Drawn on 8/25/09. I started an etching of this that I never finished. I did return later to paint the same view, a year later.